The Corpus Christi Police Department recently invested in a $12,000 drone from Maxsur. On Friday, December 4th, the police department had an opportunity to “field test” their new drone. The drone, equipped with a thermal imaging camera, was used to guide officers and a K9 unit to a location where armed were spotted near an elementary school campus. It all went down just after 9 a.m. on Friday morning. 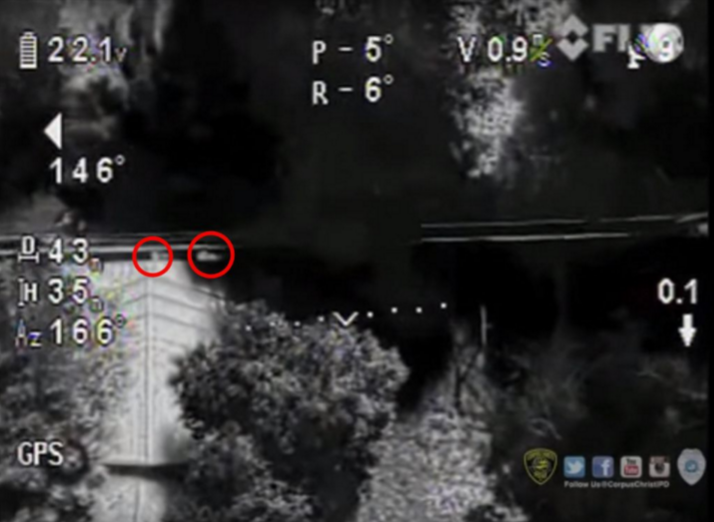 In the black and white video released online, three officers can be seen from above searching a backyard in a nearby neighborhood. That smaller, four-legged figure is a Corpus Christi PD K9 officer. They were looking for two suspects that eyewitnesses said were carrying guns. While the drone isn’t getting all the credit, it’s still refreshing to read a positive drone story. Corpus Christi is a coastal city in the South Texas region of the U.S. state of Texas. The county seat of Nueces County, it also extends into Aransas, Kleberg, and San Patricio Counties. The city’s political boundaries encompass Nueces Bay and Corpus Christi Bay. Its zoned boundaries include small land parcels or water inlets of three neighboring counties. The metropolitan area US Census estimated population in 2013 was 442,600. The population was 316,381 at the 2013 US Census estimate, making it the eighth-most populous city in Texas. 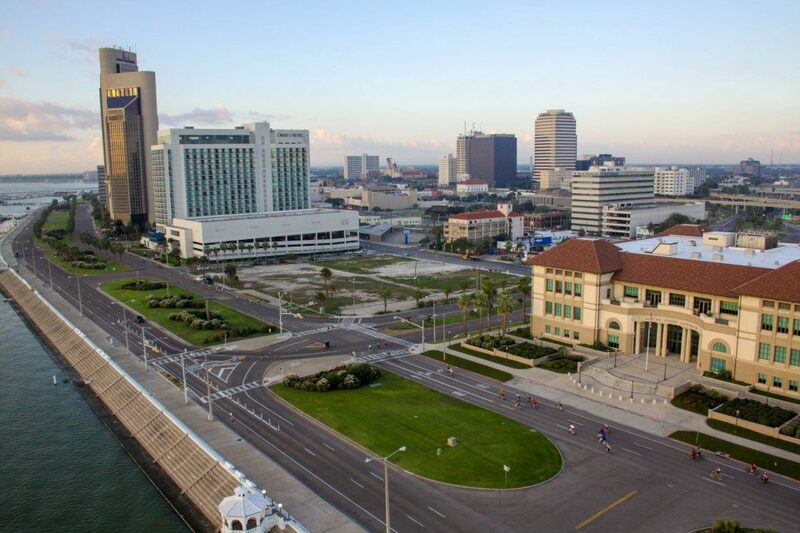 It is the principal city of the three-county Corpus Christi metropolitan area, as well as the larger six-county Corpus Christi-Kingsville-Alice Combined Statistical Area, with a 2013 Census estimate at 516,793. 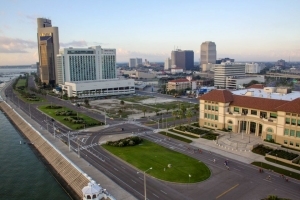 The city includes the Port of Corpus Christi, the fifth-largest in the United States. It is served by the Corpus Christi International Airport. MAXSUR is a nationwide provider of surveillance systems restricted to law enforcement, intelligence and defense customers. Systems offered include body worn cameras for patrol, covert audio-video devices for undercover operations and unmanned aerial vehicles for intelligence gathering, rescue and post incident documentation. The MAXSUR team is led by Steve Klindworth, its CEO and Jake Lahmann, its COO. Combined they hold 52 years of experience in the surveillance industry and are responsible for both techniques and technologies in use today, industry-wide. MAXSUR team members include veterans from law enforcement, military and the unmanned aerial system industry.